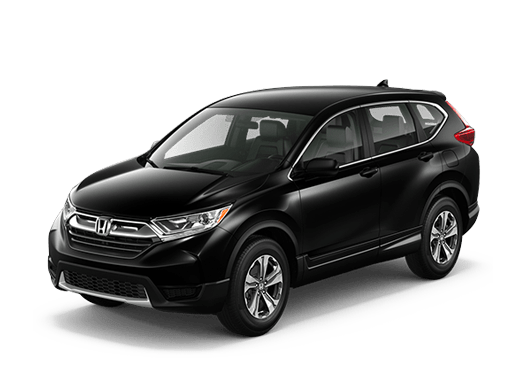 As one of the leading midsize SUVs in its class, the 2019 Honda Pilot stands out for its ample amount of cargo space, its athletic transmission that has been improved, and the spacious interior setting that offers plenty of head- and legroom for adult passengers. With three rows, the car proves to be versatile for families and still manages to provide an athletic engine and transmission. 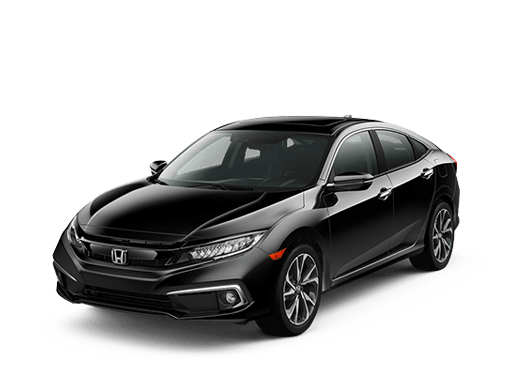 The vehicle is available at Brad Deery Honda in West Burlington, serving West Burlington Iowa City Cedar Rapids. 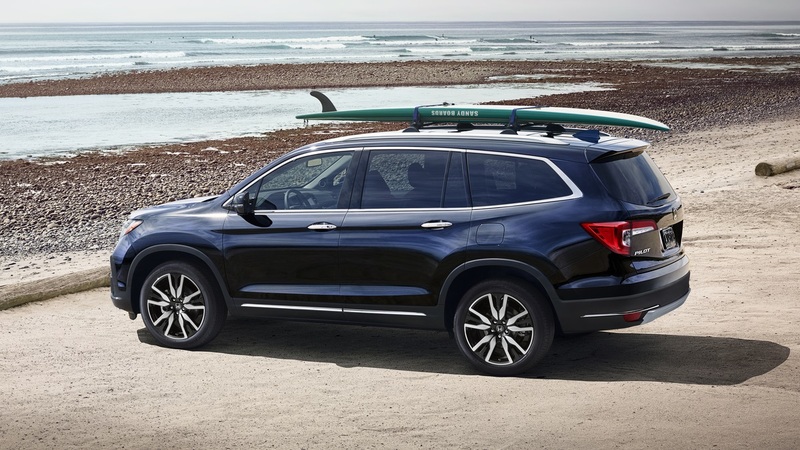 The smooth ride and significant cargo space make the 2018 Honda Pilot a favored vehicle among consumers. Drivers appreciate the spacious cabin with three rows that are available with a high level of visibility provided due to the large windows. The car also has plenty of pickup due to its peppy engine. The 2018 Pilot proves to be competent in most driving situations and delivers sufficient power for commuting, driving on different types of terrain, and for daily driving. 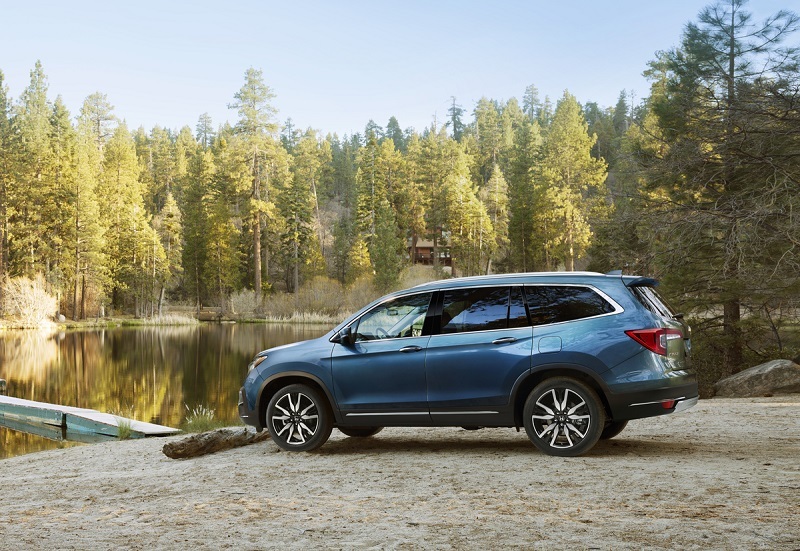 The new Honda Pilot has a refreshed design with a grille that has been updated and bumpers that feature skid plants, which are found on the most competitive SUVs. The stance of the vehicle is commanding with large tail lights on the tailgate and sleek LED lights that cause the front of the vehicle to look upscale. A rear spoiler also adds an athletic touch to the car's exterior. A power liftgate is available for added convenience when loading up the cargo area. The vehicle is still recognizable but looks more modern than its predecessor. The exterior styling of the 2018 Pilot is sleek with a large chrome grille that spans across the front of the car. Large air intakes are placed beneath the grille, which adds a touch of athleticism and makes the vehicle appear sporty from afar. Chrome material frames the windows adds a luxurious touch to the car's body. The SUV has a modern and minimal design that isn't flashy or overly dramatic, which makes it appeal to more drivers. 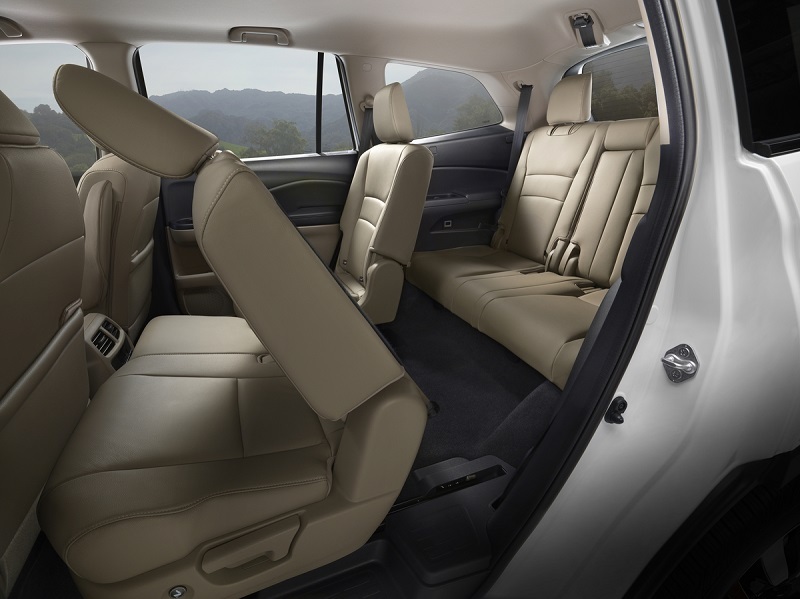 Rear-seat-entertainment is available in the Pilot, which makes it even more of a family vehicle and ideal to use for long drives or when taking road trips. Drivers will also find two USB ports, a seven-speaker audio system, a seven-speaker audio system, push-button start, and an infotainment system with a 5-inch display screen. Features that are available to increase the quality of the cabin include a 10-speaker audio system, Apple CarPlay, tri-zone automatic climate control, a moonroof, wireless phone charging, a 115-volt power outlet, an extra USB port, Android Auto, and a 115-volt power outlet. Hard plastic materials are present in the cabin of the 2018 Pilot with a fair amount of standard features included. Passengers can enjoy comfortable seats that slide for extra customization. Unlike the newest model, the third row lacks comfort and can make it challenging to fit tall passengers. Interior features to enjoy include a multi-angle rearview camera, push-button start, a 5-inch display, a seven-speaker audio system, a USB port, and Bluetooth for phone calls and streaming audio. 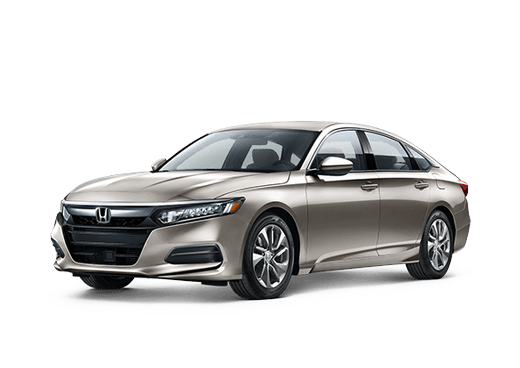 Those who desire a few extra bells and whistles an upgrade to HD Radio, navigation, a 10-speaker audio system, Pandora integration, a proximity key, a household power outlet, tri-zone automatic climate control, and a moonroof. The performance of the new Honda Pilot has significantly improved from its predecessor and makes the SUV easy to drive. Passengers can enjoy a smooth ride due to the excellent suspension system that has been added. It's equipped with a 3.5-liter V6 engine that that generates 280 horsepower with a nine-speed automatic transmission. The transmission has been updated and offers smoother shifts. Front-wheel-drive comes standard on the model and all-wheel-drive is available for those who want extra traction under the wheels. With a 280-horsepower 3.5-liter V6 engine, the 2018 Pilot has plenty of acceleration that allows it to increase its speed quietly and gracefully. A nine-speed automatic transmission is also included in the model and is available in the Touring and Elite trims. The SUV remains composed and absorbs large imperfections in the road. The handling proves to be competent with minimal body lean present on winding roads. 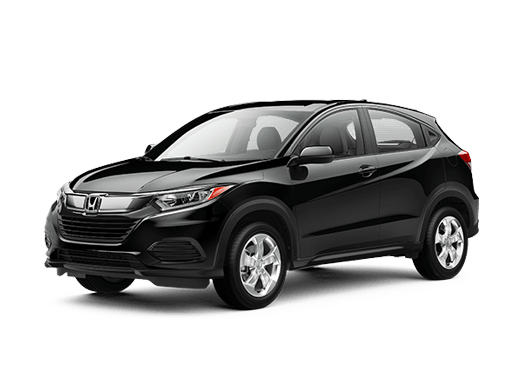 The vehicle doesn't delay when tackling steep inclines or merging onto highways due to the power that the engine delivers, which makes it easy and fun to drive. 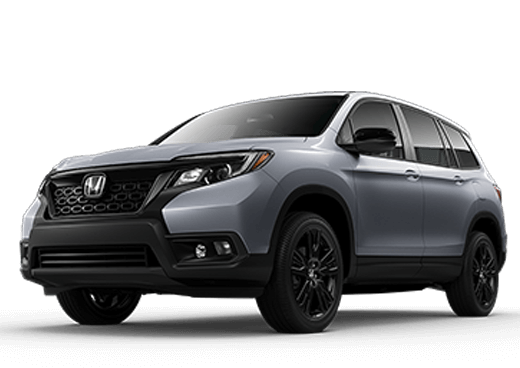 The new Honda Pilot stands out because it's the first generation to have the Honda Sensing suite of driver-assistance systems come standard. It received high scores for the crash tests that were performed by the IIHS. 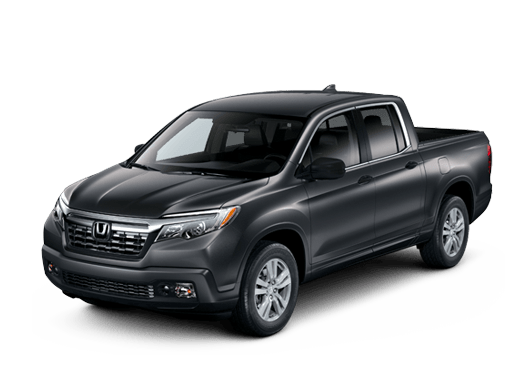 Standard safety features include Electronic Stability Control, Lake Keeping Assist, Traction Control, a rearview camera, and Lane Departure Warning. Daytime running lights are also included. 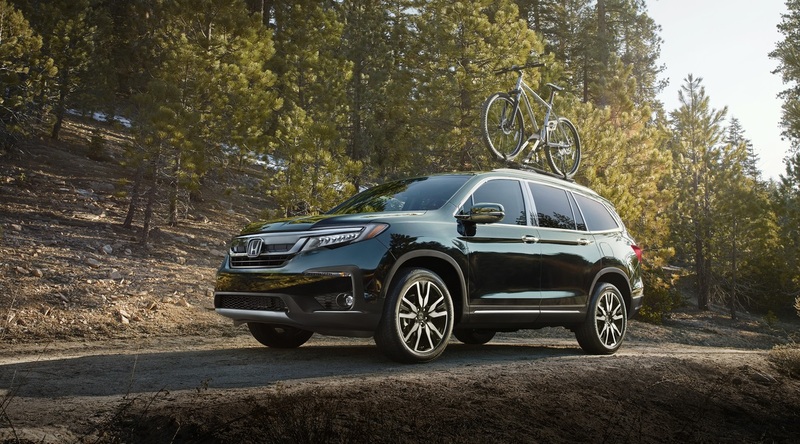 If you want to get a firsthand look at the new Honda Pilot, contact Brad Deery Honda in West Burlington to schedule a test drive and experience how the vehicle performs on the road. You can learn more information about the model and discover current specials that are available as we continue serving West Burlington Iowa City Cedar Rapids.